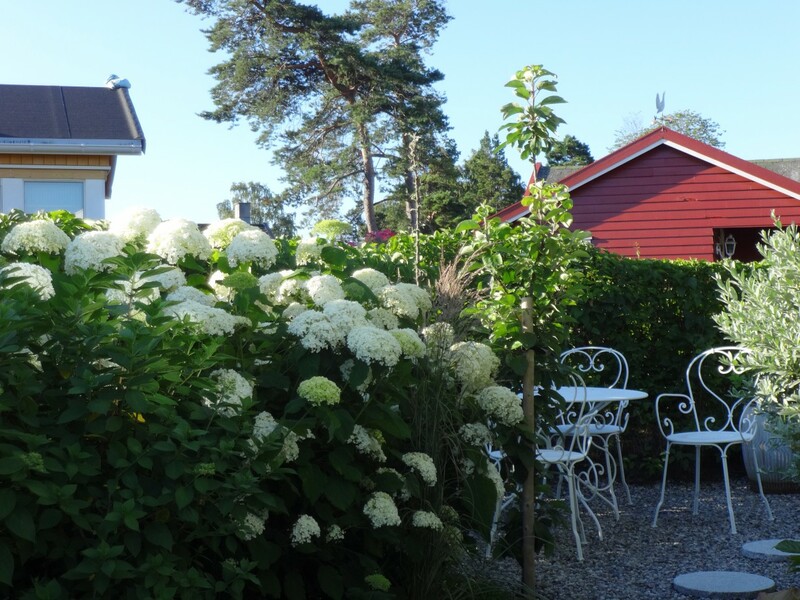 Do not plant hydrangeas in shade, if you have a love for their flowers. They also like regular moisture. 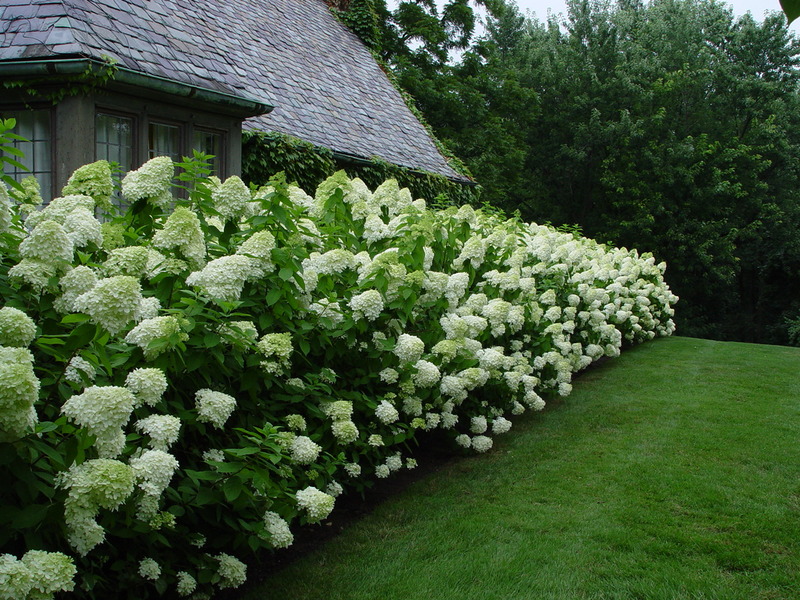 I favor ‘Limelight’ hydrangeas. They are sturdy growers. There is never any need for staking. 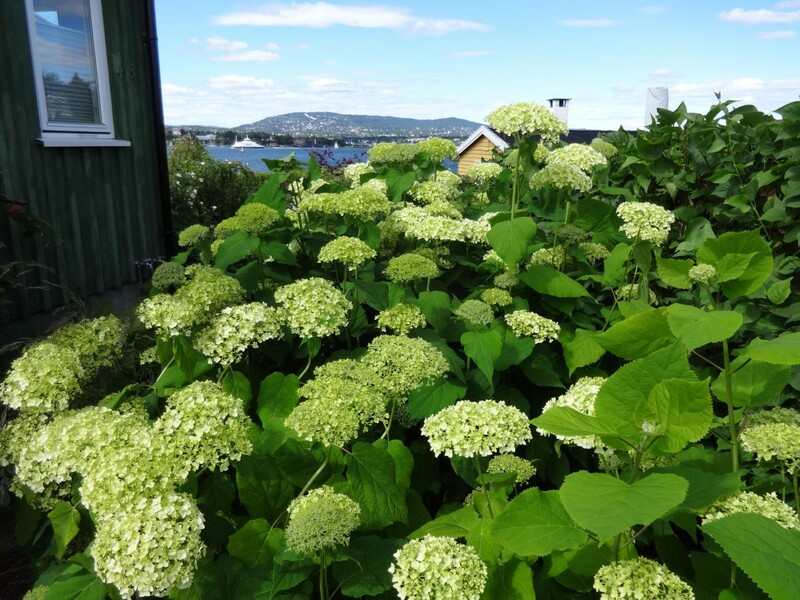 Limelights have cone shaped flowers that open green, mature white, and pink with age. The flowers are many, but modest. 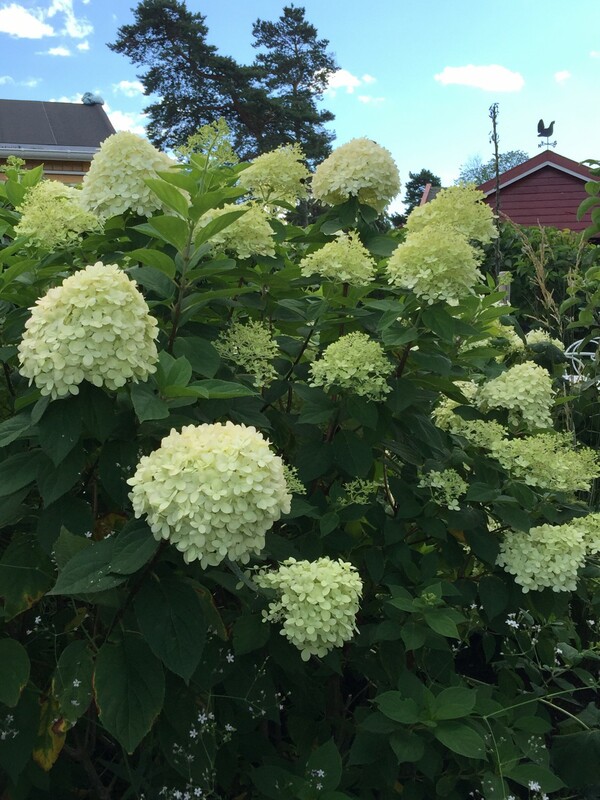 The ‘Annabelle’ hydrangea is absolutely beautiful, but the overly large snowball shaped flowerhead and weak stems make the shrub a challenge to keep off the ground. 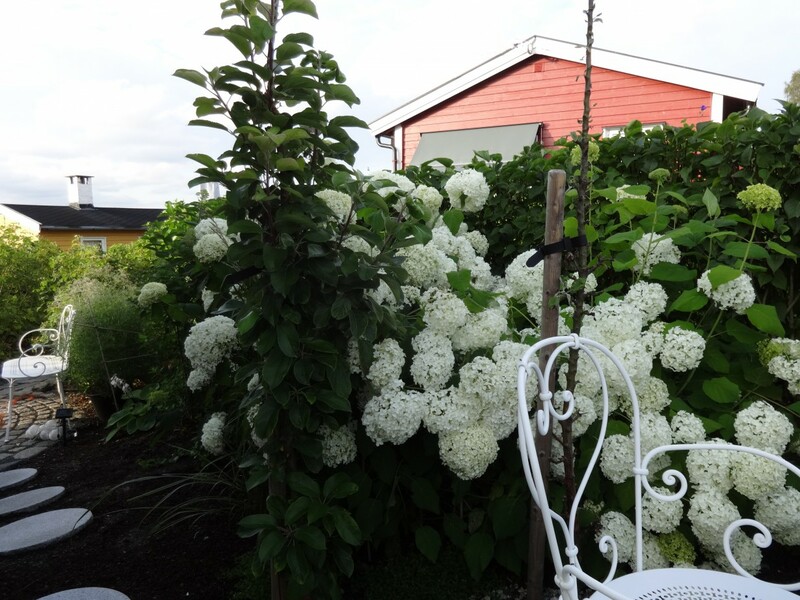 Heavy rains and stormy weather, you are likely to wake up with those flowering spheres face down in the mud. 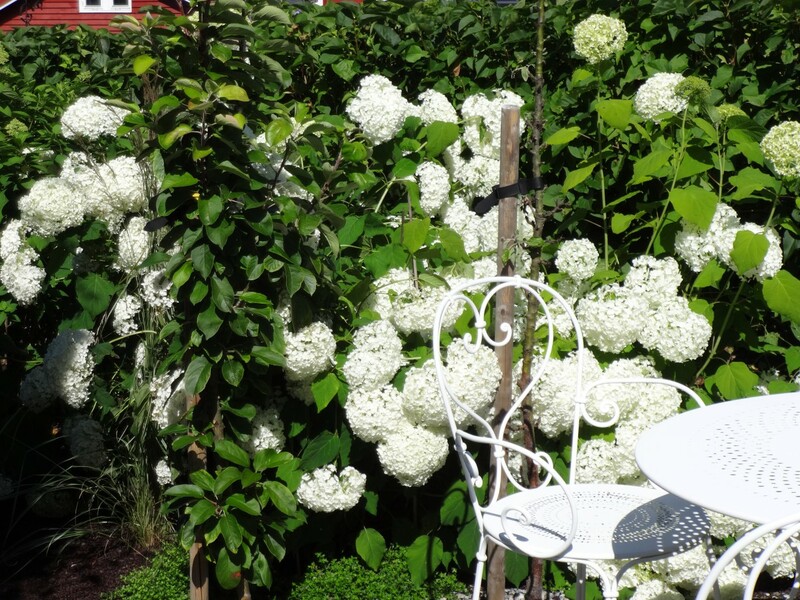 A good advice: Plant them on top of a wall or on a sloped ground.